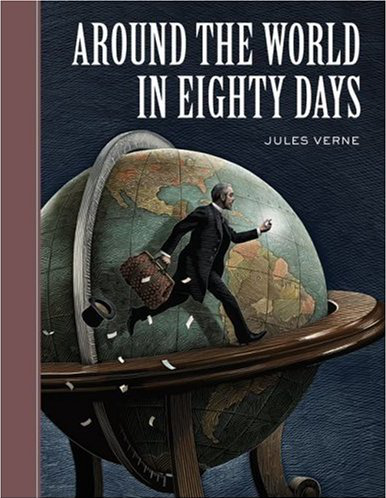 I just love the cover of the Sterling Unabridged Classics edition of Jules Verne's 'Around the World in Eighty Days', featuring a beautiful scratchboard style illustration of a globe by Scott McKowen. 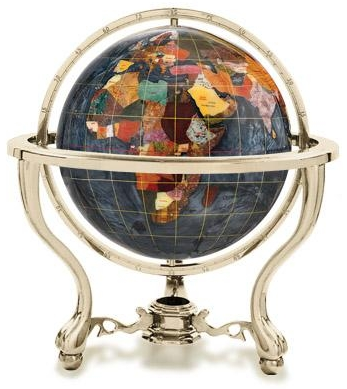 How the Queen Anne Globe might look in one's living room. 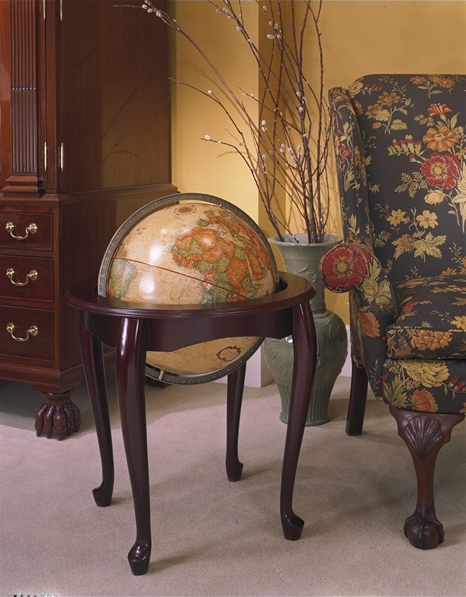 This is a 32-inch tall beauty, 16 inches across, its graceful legs polished to a cherry finish. Standing at 51 inches tall, 32 inches across (twice the width of the Queen Anne), with over 20,000 place names, this is a very detailed beast – the world's most detailed globe in fact. 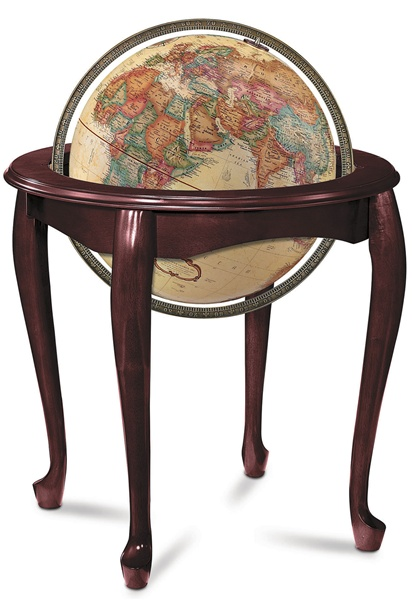 Note the thin-looking legs and the thin meridian in proportion to the globe. In general, this is because the globe enlarged without adding much to the weight, so the pedestal legs didn't have to thicken (they just needed to add a fifth "leg" to support the meridian) and the meridian stayed thin like that in the Queen Anne. 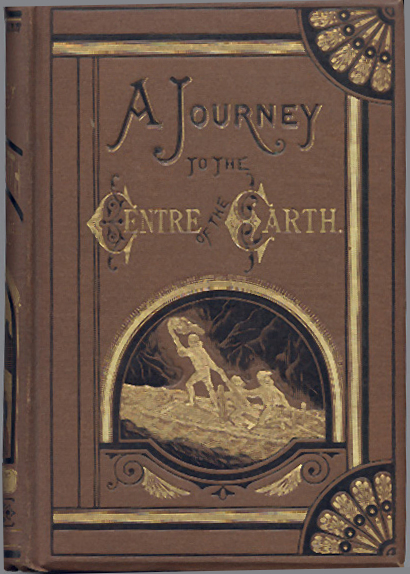 No balloon voyage in "Around the World in Eighty Days"
Verne was not an armchair adventurer, he was a traveler. He was not a science-fiction writer, he was a writer about various places on earth – 'geografiction', if you will. He did not invent the periscope, neither did he predict nuclear energy. He loved geography though – he must have loved globes. 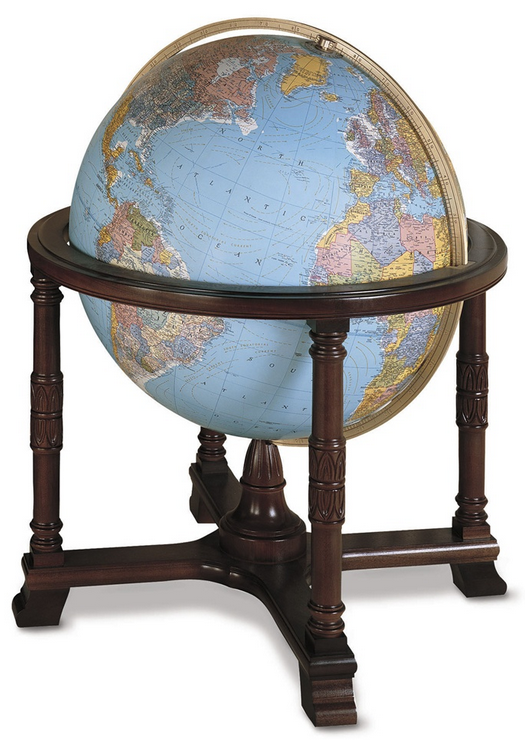 An Indian educational supply seller has neatly outlined why globes are fascinating for both the young and old: A globe enables us to see the position and relative size of a place in a fairly accurate way, and it allows our imaginations to run free – a must-have for any imaginative writer like Verne. 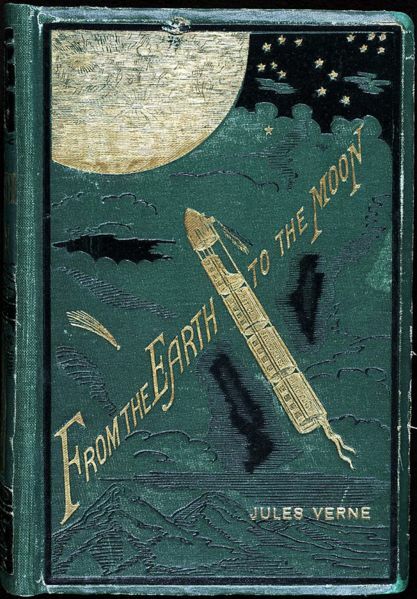 Verne's imagination not only took us places around the world, it took us under the oceans (Twenty Thousand Leagues Under the Sea), under the continents (Journey to the Center of the Earth), to the skies (Robur the Conqueror), to the moon (From the Earth to the Moon), and back . Literature: Arthur Rimbaud (poet), Jean Cocteau (novelist), Antoine de Saint-Exupéry (writer of The Little Prince), Arthur C. Clarke (science-fiction writer). 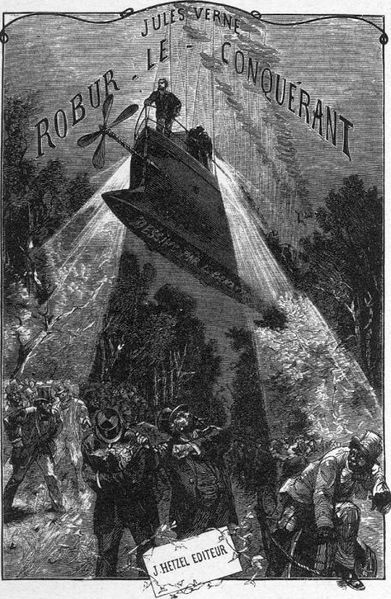 Perhaps the greatest acknowledgement to Jules Verne's influence was voiced by French general Hubert Lyautey. When a civil servant tried to belittle his plans by saying "All this, sir, it's like doing a Jules Verne." 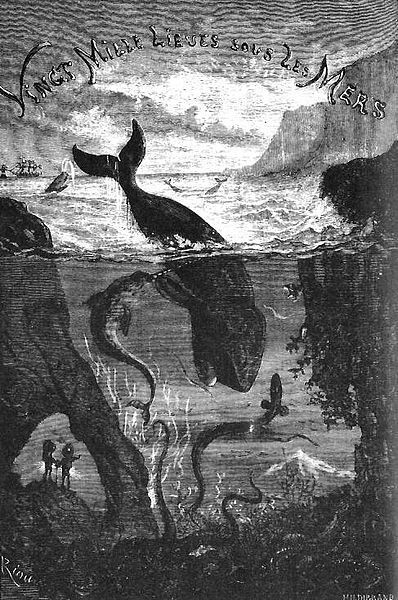 Lyautey replied "Yes, sir, it's like doing a Jules Verne, because for twenty years, the people who move forward have been doing a Jules Verne." 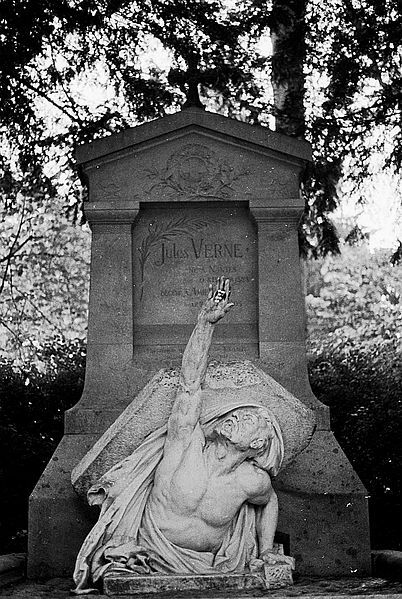 Yes, with the aid of a globe or not, reach out, move forward – and do a Jules Verne.